Discussion in 'iPhone and iPad Games' started by metalcasket, Oct 16, 2015. 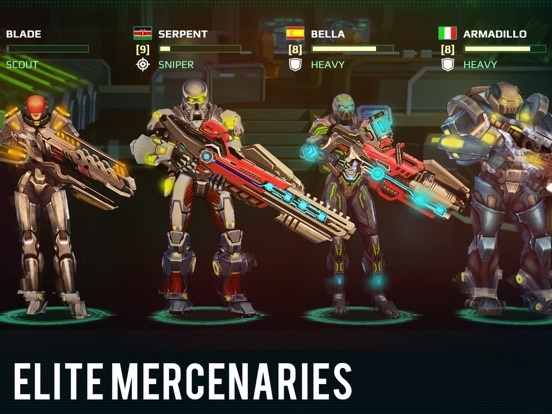 Take command of your own military corporation in X-Mercs, a tactical turn-based strategy game. Assemble a team of battle-hardened specialist mercs, build up your base of operations, grab resources from your rivals in PvP raids, and wipe the alien threat from the face of the Earth. The fate of humanity depends on you, commander! ***NOTE: Compatible with iPad 3+ and iPad Mini 2+. iPhone 5 or higher required. WILL NOT RUN ON EARLIER DEVICES. Network connection required when first playing the game. Downloading it now. Look forward to playing it. Welp, that's pathetic. Not going to bother with this garbage. What are the freemium elements? Timers? Looking forward to trying it on the weekend instead of shouting at Vainglory all weekend for a change. All of the feedback I've seen so far has been pretty positive and I've been watching it a little waiting for the softlaunch to spread. 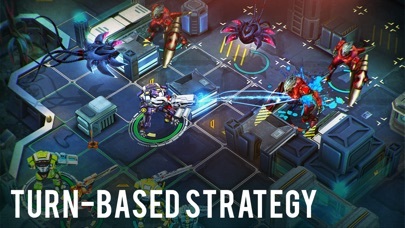 Basebuilding is decidedly freemium-city-micro(non)management-clashoftinyhappytowerstreetclans in nature, with lesser XCOM-like elements. 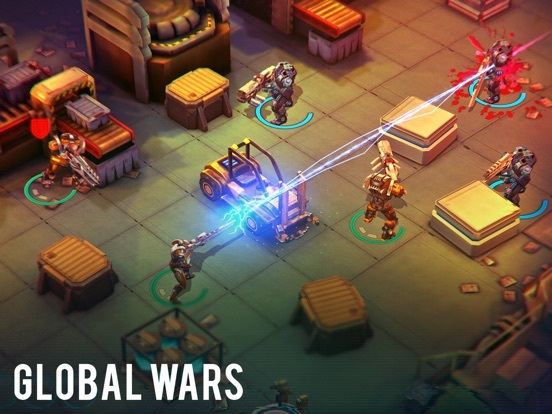 Expect none of XCOM's depth of strategy in this gameplay element. Expect very little strategy at all, what with every element available or speed up-able as IAP, but do expect timers (see below). R&D might be a bit streamlined, but I do seem to recall that there is still quite a complex research tree to explore (though since many unlocks are very incremental, the final number of stuff you can make and put to good use seems a good bit smaller than XCOM still). And with a humble offering, the gods of modern anti-alien warfare can be petitioned to speed up both research and production of stuff. Hey, it's not every day you can throw a digital grenade that actually costs you a few real cents! 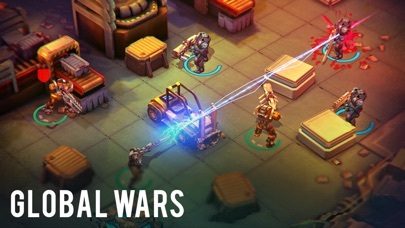 Combat is XCOM lite, with no elevation (all battles take place on a level plane), much smaller and quicker maps, and the resulting less advanced cover rules, simplified line of sight and targeting mechanics and simplified movement mechanics. 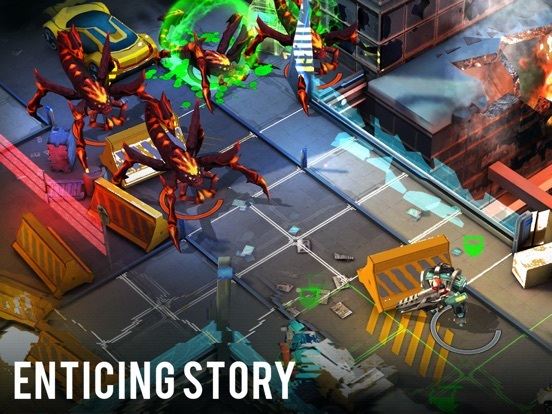 You rarely, if ever, get XCOM's finicky, interesting or surprising shot angles and highly vulnerable/absolutely tactically awesome positions, since most locations and rooms are very square, open, symmetrical, simple and predictable in design. No picking off jumping slendermen jacks through broken wall segments or cyber-leg-navigating to that perfect sniper position two stories up, no surprising lucky overwatch shots (with the simple map design, you'll basically always know if an enemy might move into range), and very little to alter the flow of battle or create the unexpected, exciting, tactically demanding or emotionally motivating. Likewise, enemy behaviour is not as sly or tactical, enemy variety is lower, and the greatly simplified maps lead to even less opportunity for the enemy to outsmart, overwhelm or counter you. Once you've grasped the basic mechanics and strategy, battles against the AI mostly come down to whether you've the soldier stats/have progressed far enough to overcome the preset power of the opposition. 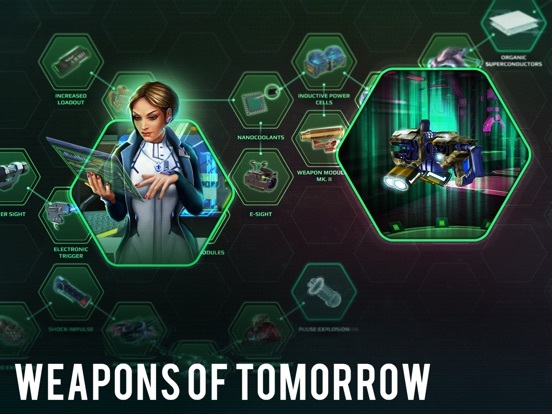 I do think there is a similar number of abilities as XCOM to help influence the course of combat, but most likely a smaller number of consumables and other equipment that has an impact. But on the other hand, you can pay real cash to unleash orbital strikes for easy victories. Because we're all about that base and no combat trouble. 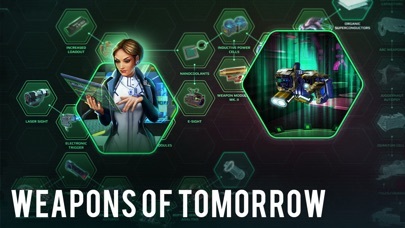 Character development is, surprisingly, actually more open-ended, flexible and partially more in-depth than XCOM (at least without Enemy Within's psionics and mechs), with several progression paths for each class. The lore... is. Just barely. Oh, and there is also plenty of clumsy, forced, embarrassing, immersion-breaking sexism. The third coming (out of four) of XCOM this is not. It shares superficial plumage, but the dna is eras apart. But you know what? 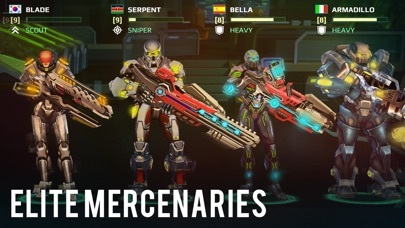 If yer looking for a freemium, casual, endless XCOM experience, or have exhausted XCOM and all other sophisticated TBS titles for iOS, X-Mercs has you covered. 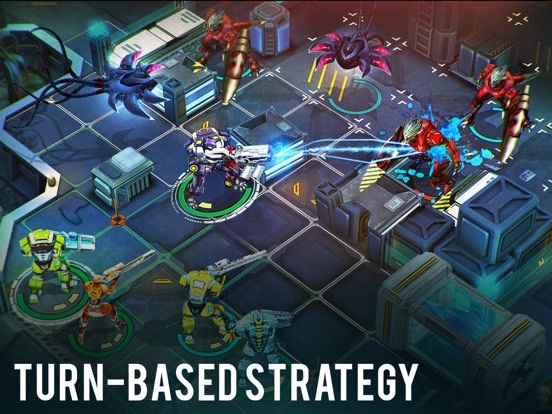 It is probably the most skill-based freemium base builder around next to Space Miner Wars. And I'll be fudged if I didn't actually have a bit of fun with it. Considering the cataclysmic calamity of criticism above and below, that is a VERY good indication of some sort of abstract, permeating quality. That is, if you can stomach the demeaning, immersion-murdering, narration-stomping portrayals of the female advisors. Basebuilding is blessed with the usual delightful timers on building construction and resource collection. There are also timers on research and equipment production, just like XCOM, but unlike XCOM, you can't speed up time, what with this being online and social and all those newfangled whatchmacallem. Lastly, your soldiers require time to heal between fights (every fight in which they take even slight damage). Back in beta, these timers ran between 5 minutes and an hour, approx. You'll eventually have a second and more separate fighting teams, I s'pose, but I never got there in beta, and if you do, you'll be splitting resources, time and hairs to keep them all up to snuff. Plus I seem to recall that there are other applications for all that cash you've earned just to expend on a watered-down version of a highly complex and qualitative game (that you can buy for a premium price and enjoy in a balanced and polished fashion) that you've never would have considered had you not played the premium original until you knew every nook, cranny and alien granny. Can't quite remember what they are right now, though, so don't quote me on that or accept this part of the analysis blindly, though. HOWEVER, it does seem like there are no absolute paywalls (everything can be earned in game), and there is quite a complex resource system that I don't think can be bypassed entirely with IAP. But there are quite a few timers. Lots of them, even. Yeah; they're not too bad, but the main problem in the beta for me was the lack of strategy on maps. Combat is waaaaay too straight forward, and everything feels generic. In XCOM, when you kill something there is an impact to it, you can feel it. That is non-existitant here, combat feels like paint by the numbers. Who knows, you might like it, and it'll probably receive regular updates, but to me this was always for people who don't want to pay for the real thing. Thank you Orpheus and Ayjona for saving me time and bandwidth. Really appreciate the impressions! Thanks Xatu. Looks like XCOM's still got its place solid on my ipad. Ayjona, thanks for the impressions. This line from your post gave me a good lol, "But on the other hand, you can pay real cash to unleash orbital strikes for easy victories. Because we're all about that base and no combat trouble." Nice pop music reference. #. Not digging the sexist tones in the game that you mentioned, or the shallow tactics. I'll scratch my Xcom itch with a replay of Xcom for now. 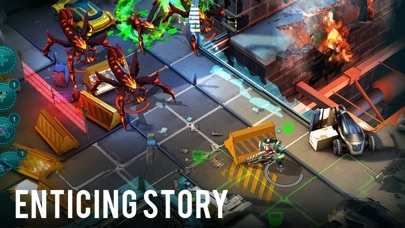 Oh hello X com alike! This could make my Monday! Looks pretty darn good. I think this might be worldwide now. I wish people would stop buying this freemium sh.. .
Now yes I will try! Does not load on iPhone 6S, iOS 9. Appears to be same Game Center bug which affects numerous other games. Will Apple ever get around to fixing this? ?